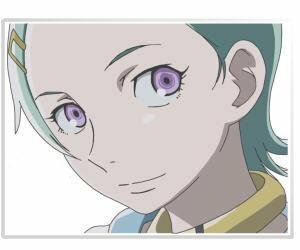 Eureka 7: Psalms of Planets. Art, fan art, screenshots and wallpapers. Here you'll find some nice wallpapers, fan art and screenshots of the great TV series of anime Eureka 7: Psalms of Planets. 30.12.11 — Объявлено продолжение сериала. 26.10.10 — Добавлены нужные шрифты в архив с русабом. 03.10.10 — Whoops, fixed a server bug that prevented CSS loading and page displaying. 13.03.10 — manga and threads were moved right here. Happy downloads!